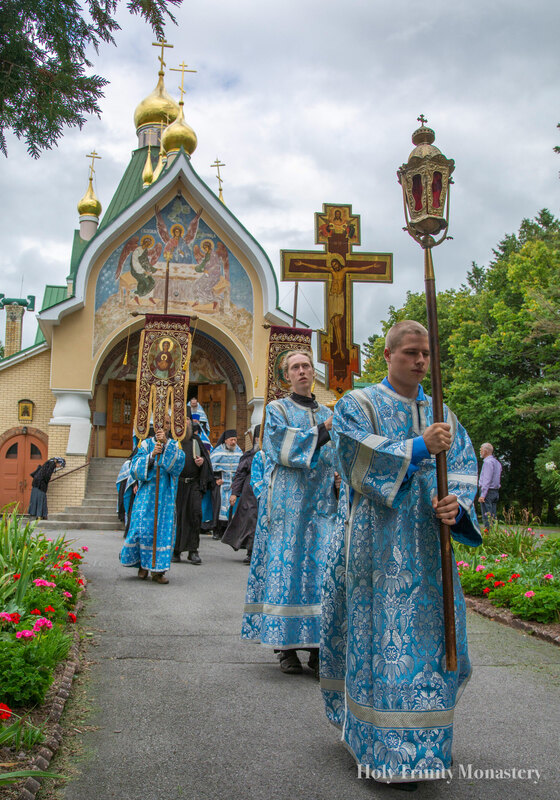 From back in the 1950’s, it has been the tradition of Holy Trinity Monastery to use the American civil holiday weekend of “Labor Day Weekend” as a convenient means for the monastery’s pilgrims to come to the monastery and commemorate the memory of the Venerable St. Job, abbot and wonderworker of Pochaev and also the miraculous icon of the Mother of God of Pochaev. For the reasons above, the brotherhood of St. Job, formed by emigres in Slovakia and then in great part moved to our monastery after the World War II, the feast day of St. Job on August 28 (O.S. ), has been celebrated as the feast day of our brotherhood, in large part involved in the continuation of the obedience of providing the printed word for the faithful, now finding itself in non-Orthodox lands and also in Soviet Times, providing nourishment for the spiritually starving faithful in the homeland. Even though the monastery has as its patron the Most Holy Trinity, celebrated on Holy Spirit Day, due to the arrival of the brotherhood of St. Job after the war, the feast of St. Job has become the second patronal feast of the monastery, and in particular, of the basement church of St. Job, where services are regularly conducted. 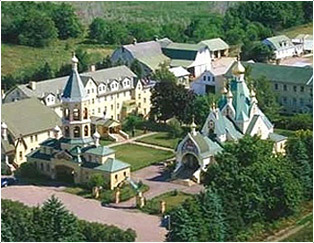 Whereas in the early years of the existence of the monastery, Russian immigrants found a welcome opportunity to come to the monastery during this long weekend to see their friends and to celebrate the memory of St. Job, over the years, people assimilated in large part to the “normal” American lifestyle. However, in the last few years, through the efforts of Archpriest Sergei Lukianov in large part, there has been a renewal of attendance on this weekend. Many of our new faithful are from Ukraine and are very familiar with Pochaev and St. Job. There was held the traditional Cross Procession on Saturday, September 1, to the cemetery church of the Dormition and Royal Martyrs to bring back the Pochaev Icon of the Theotokos, to the cathedral, where a moleben with akathist was served to the Most Holy Mother of God and St. Job. Then there was served in the evening the All-Night Vigil, and then in the morning, an early liturgy in the lower church of St. Job with the main, pontifical liturgy being served in the cathedral at 9AM. This was followed by a moleben with Cross Procession around the cathedral. Immediately following this was the traditional monastic lunch, provided for all the hundreds of pilgrims. On Monday, once again, there were many communicants from among the pilgrims at the Divine Liturgy. Following this, the museum of the Foundation of Russian History was open so that the pilgrims could view the museum’s Exhibit of the Last Days of the Royal Martyrs, especially prepared to commemorate the 100th anniversary of their martyrdom. Through the intercession of the Most Holy Theotokos and of Her faithful servant, St. Job of Pochaev, may the land of Ukraine, along with Belarus and Russia, stay unified and true to Holy Orthodoxy, all forming parts of ancient Holy Rus,” and may God protect these lands from schism and preserve them in the true faith.